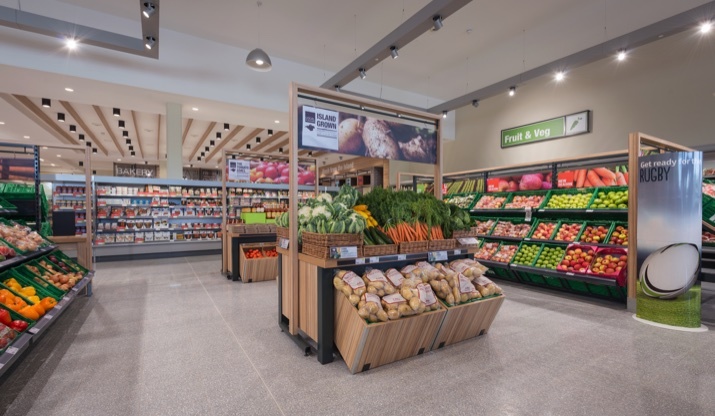 The Southern Co-operative’s new store in Freshwater, Isle of Wight is setting new standards in local retail by bringing premium-quality supermarket shopping to a rural, island community. 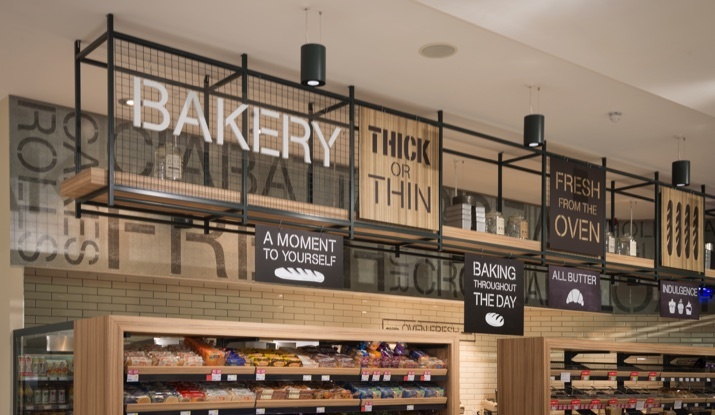 Shelving Solutions was part of a TDS Group consortium (with Total Design and TDS Electrical) that brought an innovative design, created by Brighton-based retail specialists, CDW and Partners, to life in an elegant supermarket replete with “personality” and a sense of “theatre”. 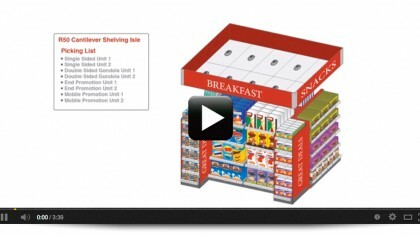 Working as a tightly integrated unit, Shelving Solutions and its TDS Group partners delivered this highly complex project on-time and, importantly, within budget. Shelving Solutions sourced and built the bespoke counters, shelving and other customised shop fittings needed to bring Brighton-based CDW & Partner’s design to life. The Southern Co-operative’s commitment to “supporting the Isle of Wight’s community and economy” is evident in the Freshwater store. 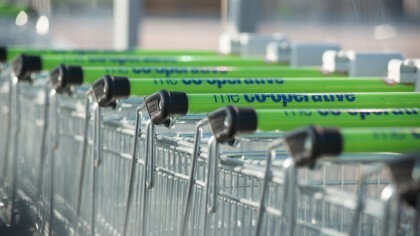 The store provides a shopping and services hub for the Western Isle of Wight in which local residents have easy access to premium-quality supermarket shopping in which the emphasis is on fresh and, where possible, local produce. They can also take time out in the café, buy food-to-go or take advantage of a range of useful services, ranging from Community Notice Boards to an integrated Post Office which is open seven days a week. At 14,000 sq. 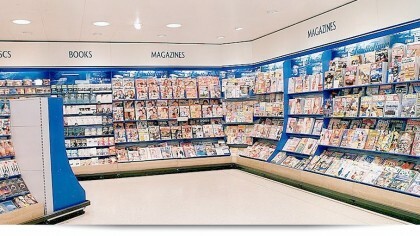 ft., the Freshwater store is categorised as a ‘mid-sized’ supermarket. 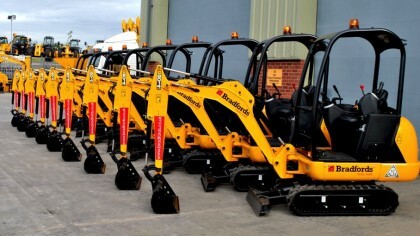 However, the store offers a selection of products and services that compares favourably with much larger stores. That’s a lot of products and services in a relatively limited amount of space. 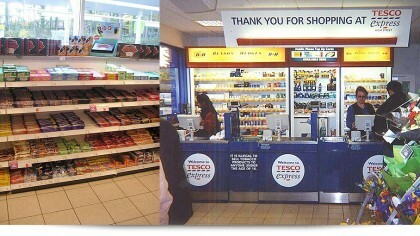 And yet, the store is designed and built to look and feel spacious and uncluttered. 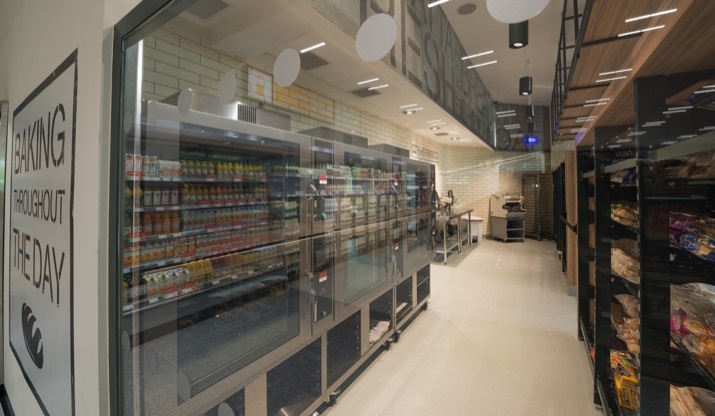 Instead of walking up-and-down the linear aisle layout that dominates most supermarkets, customers stroll around a ‘market square’ style area in which a wide range of fresh food and produce are displayed on purpose-built modular counters, gondola and customised metal and timber shelving supplied and built by Shelving Solutions. 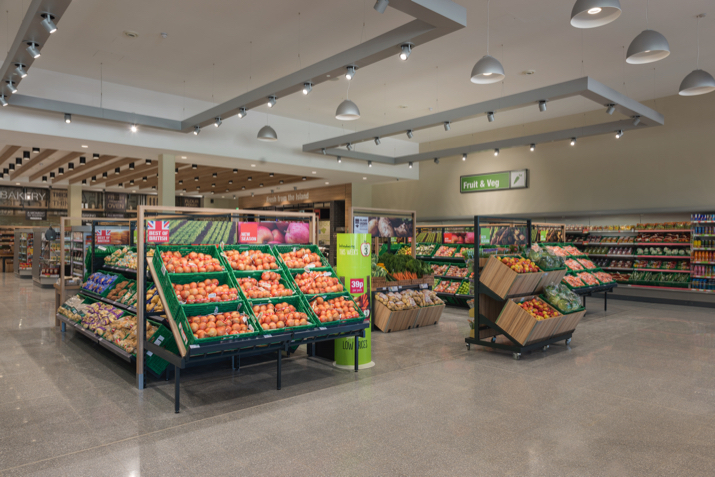 Freshwater is also unusual in having over 40 per cent of the retail floor space and 30 per cent of the shelving dedicated to fresh food and produce. The in-store bakery takes up a significant chunk of space along the perimeter wall. 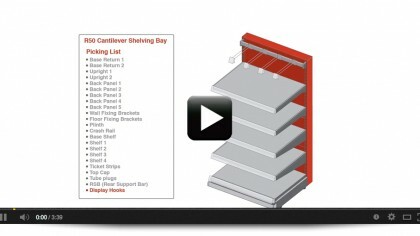 Customers are free to browse or pick up products displayed on customised shelving and free-standing, timber and metal tables purpose-built for the Freshwater store by Shelving Solutions’ joiners. 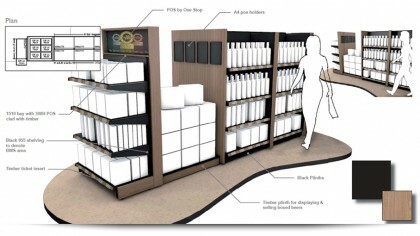 Shelving Solutions provided a selection of customised accessories that combine effective display with ease of access. For example, a three compartment wire bakery baguette holder allows log baguettes to be displayed in an upright position and makes it easy for customers to choose the baguette they want without the risk of breakage to the other products on display. Other essential accessories provided by Shelving Solutions include built-in bag holders with integral tongs. 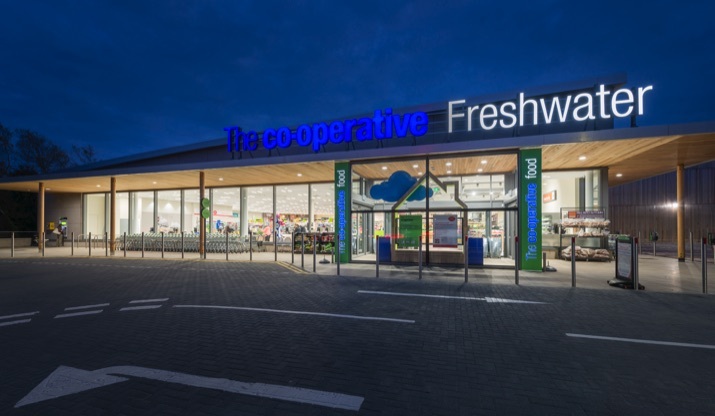 Freshwater’s impressive selection of fresh produce is displayed to best advantage on modular, single-sided and gondola produce display units supplied and built by Shelving Solutions. Local ‘hero’ products and seasonal offers are given prominence on customised gondola-ends. Produce units were bespoke made to the client’s design and include metal and timber feature arches with integral POS, bespoke small tables and tiered timber display boxes. 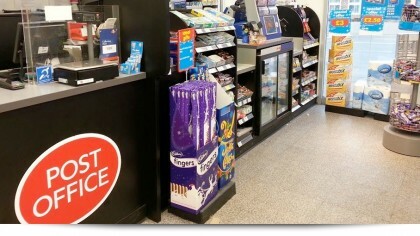 Shelving Solutions kept costs down and quality high by adding specialised fixtures, shelving and display units onto a standard shelving framework. Customers walking into the deceptively small BSW (beers, wines and spirits) department could be forgiven for thinking they’d strayed into an upscale wine merchant. 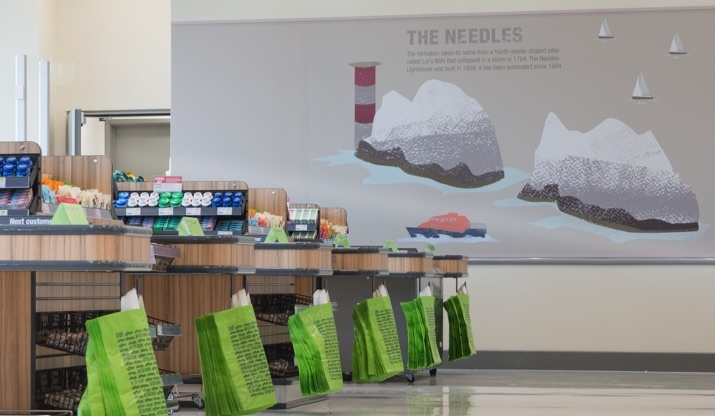 The addition of a sommelier station injects a touch of theatre to the department and encourages customer engagement through participation in tasting sessions. 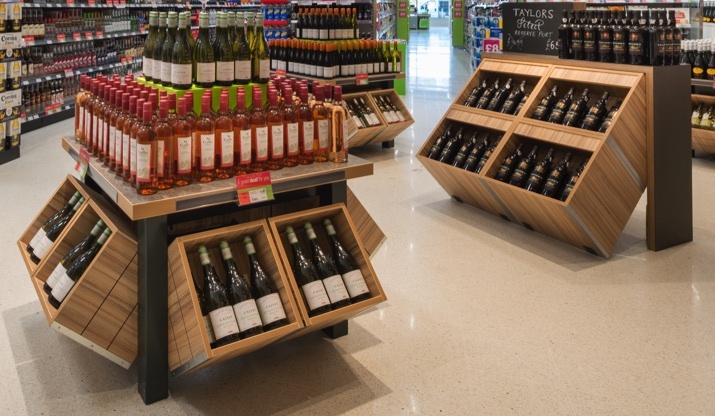 The BSW department shows how a great design plus Shelving Solution’s skilful use of cost-effective materials can overcome budget limitations to create a stylish retail display. Research shows that Post Office services are highly valued in areas like the West Isle of Wight which is a rural community with a significant proportion of older residents. 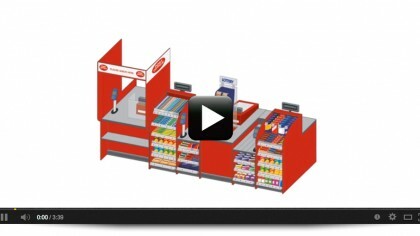 The introduction of integrated Post Offices, such as the Post Office Local supplied and built for One Stop Stores by Shelving Solutions, stemmed the tide of closures. 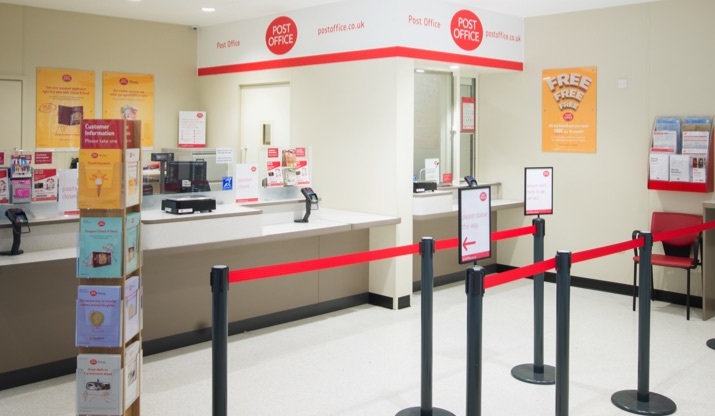 As with many of this new breed of community and customer focused Post Office, Freshwater is open late during the week and offers the basic range of postal services at the weekend. The choice of materials play an important part in replicating the unique combination of countryside and coast that characterises the Isle of Wight within the store. Timber has been used in the build of several modular counters, boxes and as wall cladding. Combined with the budget-conscious wood-effect fittings which feature throughout the store, the overall effect is a sophisticated take on rural living by the sea. The Freshwater project is a prototype for a new concept in community-focused retail the Southern Co-operative is planning to introduce across its network. Over the coming months, the retailer is expected to replicate many of the elements created by Shelving Solutions - retail shelving, modular counters and product displays - and successfully piloted at Freshwater.